Hello and welcome to this webpage dedicated to famous Chelsea footballers that brought titles and joy to all the Chelsea fans. There have been many great soccer players that played for this great club and it is really hard to pick out the greatest Chelsea players of all time but I will try and single out the players that have had the most impact on this clubs success. Most of these Chelsea legends have already retired from professional soccer and some of them have even died but these greatest Chelsea players will forever stay in their fans hearts and memories. Famous Chelsea footballers listed here brought their best on and off the field for this great club. They have become top Chelsea players through hard work and dedication to the game as well as being the influence and heroes for 1000's of kids around the world following their Chelsea soccer stars with dreams of one day playing professional soccer themselves. We all have had our favorite players growing up and fantasizing about being in their shoes while playing soccer with our friends and wearing our heroes jerseys. My heroes growing up were Alessandro Del Piero, Ronaldo (the Brazilian) and Zinedine Zidane. I remember taking the soccer ball, putting on my favorite players jersey and just kicking the ball against the wall while trying to use the technique of my favorite players. Whenever I'd score a goal or make that crucial pass, I would yell out my favorite players name and try to even imitate their goal celebrations. Up to this day whenever I score a goal I wave my right hand index finger in the air just as Brazilian Ronaldo used to do for his team and his country every time he would score a goal. I believe its time to start of this Chelsea legends list. Joined Chelsea from Newcastle in 1948 and helped The Blues to their first championship in 1955. Roy Bentley was the top goalscorer throughout his 8 seasons with the club including 21 goals during the 1955 Championship run. Aging Chelsea started to fall apart and Roy Bentley found new home with Fulham in 1957. He later played for QPR before retiring and than managing Reading and Swansea. 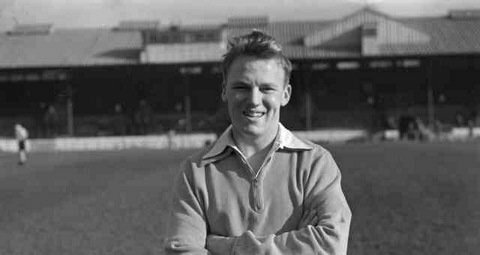 Joined Chelsea when he was 18 years old but having the National Service commitment interrupt his career at Chelsea, the talented winger still helped the club take the 1955 League Title and was one of the few younger players on the squad during that time. 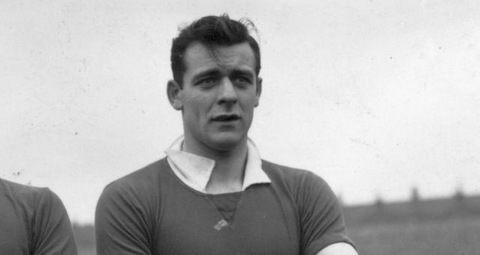 Frank Blunstone helped Chelsea win the promotion back into the First Division in 1963 before a second leg break forced him into retirement at 30 years old. He went on to join the Chelsea coaching squad than later managed Brentford and spent time as a Manchester United assistant manager. 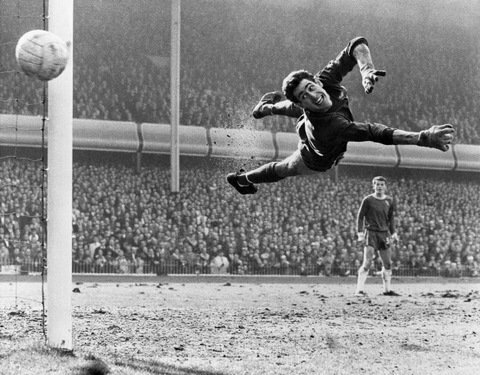 Peter Bonetti had earned nickname "The Cat" during his time with the club and he had 208 clean sheet appearances for Chelsea FC. He helped Chelsea win three different cups in 1965, 1970 and 1971 before leaving the club in 1975 for a move to United States but coming back shortly after to help Chelsea reach promotion back into the First Division during the 1976/77 season. Peter Bonetti retired from soccer in 1979 and tried his hand at coaching Dundee United and Woking. He was also employed by various clubs for coaching the goalkeepers. Honours with Chelsea: 1997 FA Cup Final, 1998 Football League Cup Final and 1998 UEFA Cup Winners' Cup Final. Steve Clarke is one of the most reliable and consistent defenders that ever played for Chelsea. Steve was signed by Chelsea FC from ST Mirren in 1987 and at the start of his career he played attacking Right Back role contributing assists with his crosses. As he got older Steve started to play a more defensive role as a Stopper with his greatest strength coming from reading the game. After his playing days with Chelsea FC, Steve remained at the club as part of the coaching staff that eventually won the 2005 and 2006 championships. 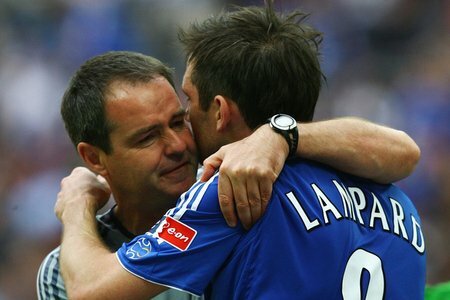 He than resigned with Chelsea FC and went to West Ham United to become assistant manager to great Gianfranco Zola in 2008. 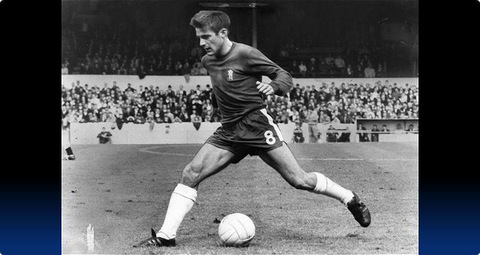 Very loved by fans with great skills on the ball, Charlie Cooke was signed by Chelsea FC in 1966 from Dundee football club. He than went on to become fan favorite providing frequent assists to Chelsea goals. He helped Chelsea win the 1970 FA Cup and 1971 European Cup Winners Cup before surprisingly leaving Chelsea to join Cristal Palace in 1972. He returned to Chelsea FC after 18 months with Cristal Palace and was part of the squad in later relegation of Chelsea in 1975. Two years later Charlie Cooke helped a young Chelsea team win back the promotion into the First Division. 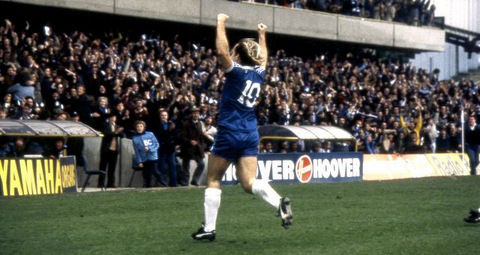 His final Chelsea FC appearance came in a memorable FA Cup win over Liverpool in 1978. Charlie moved to United States in 1978 and played for several clubs before retiring. He now has a soccer school in Ohio. 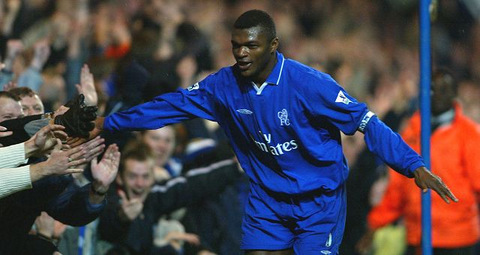 Marcel Desailly signed for Chelsea at the peak of his career having won two European Titles with 2 different teams, making him the first player to do so. He signed from AC Milan to Chelsea in 1998 and had won the 1998 World Cup with France within 6 weeks of his signing. Nicknamed Le Rock, meaning "The Rock", Desailly formed a great defensive partnership with French teammate Frank Leboeuf helping Chelsea FC win the 2000 FA Cup. Marcel Desailly played 6 seasons with the club and although he was really the rock of the defense, he only won one title with the club. His biggest contribution to Chelsea was the help in developing than young John Terry who grew up to be a defensive force for Chelsea FC. Kerry Dixon joined a Second Division Chelsea team instantly having an impact and helping Chelsea FC win the promotion into the First Division by contributing 34 goals for the club. He than won the Golden Boot during his first season with Chelsea in the First Division having scored 36 goals that season. In 1986 Kerry suffered a muscle injury and was never the same player again. Chelsea team had started to break up and relegation followed in 1988. 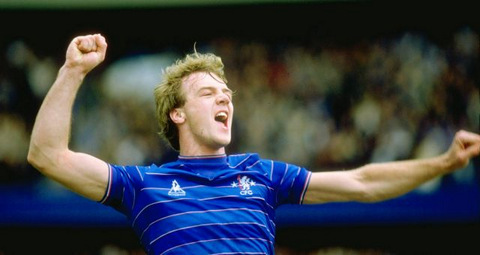 Kerry Dixon than contributed 25 goals to help the club win a promotion and Second Division title once more in 1989. 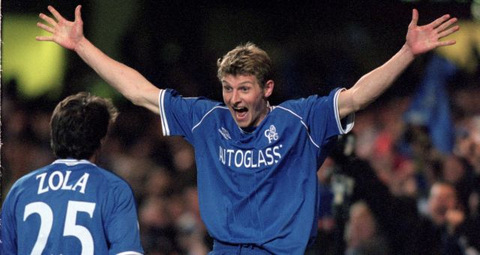 Tore Andre Flo arrived to Chelsea in 1997 from his native Norway club Brann Bergen. He would soon become top valued player for the money spent as he helped Chelsea to three different cups earning the reputation of being one of the best finishers in the game. Flo would come off the bench most of the time and scored goals for his team earning him a nickname of "Super Sub". After three years with the club showing great finishing skills by netting 50 goals mostly as a sub, Tore Andre Flo left the Chelsea in 2000 after Chelsea had signed strikers Jimmy Floyd Hasselbaink and Eidur Gudjohnsen forcing Tore Andre Flo to stay a bench player so he requested the move to a different club. He went on to play for Rangers, Sunderland, Siena, Valerenga, Leeds United, Milton Keynes Dons and Sogndal before retiring in 2011. Honours with Chelsea: Did not win any trophies. Jimmy Greaves was signed by Chelsea FC as a junior in 1956 and the following year he set the club record for scoring 114 goals in the youth team. He made his debut for first team on the opening day of 1957-58 season scoring a goal in a 1-1 draw against Tottenham Hotspur. He was only 17 years old. 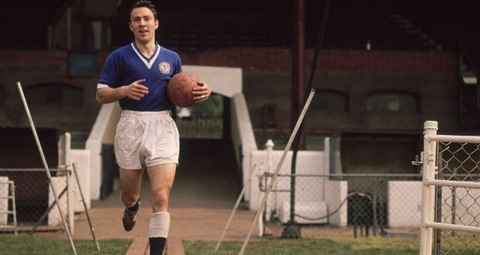 Greaves is without any doubt the most prolific goalscorer for Chelsea up to this day having scored 132 goals in only 169 games for Chelsea and 357 goals in 514 league games overall speaks for itself. He was transferred to AC Milan after the 1960-61 season mainly for money purposes since Chelsea side had struggled to win any trophies. On his last game for Chelsea, Jimmy was made captain and he also stole the show by scoring all 4 goals in a 4-3 win. He stayed only shortly at AC Milan before returning to England and signing with Tottenham Hotspur where he went on to brake more records. He later went on to play for West Ham United and Barnet before retiring from professional soccer in 1979. Ruud Gullit arrived to Chelsea FC in 1995 having won European Player of the year previously and considered the best player in the world. 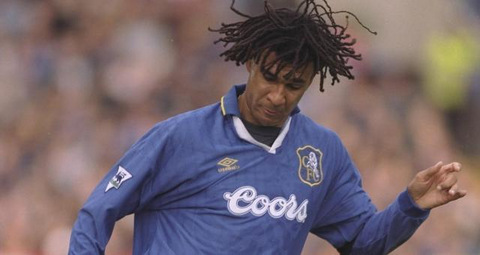 In his first season with the club, Gullit played Sweeper, Midfield and Forward positions and was right away talked about as the greatest player to ever play for Chelsea. The following season he was appointed player/manager and while his knee injuries kept him from playing, Gullit guided Chelsea to their 1997 FA Cup trophy after 26 year long wait for any major trophy. He left the club in 1998 after contract dissagreement. Gianluca Vialli, a Gullit signing, took over and the team won the League Cup and the Cup Winners Cup in the season that remained. Gullit was tall, strong, great passer and had bullet headers making him a complete player. Ron Harris played 798 games for Chelsea FC, which is more games than any other Chelsea player in the history. 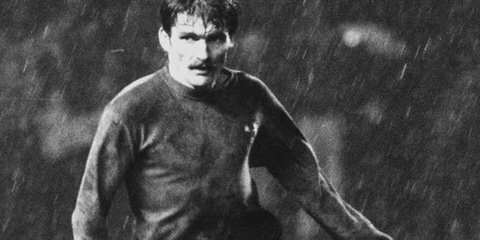 Ron was one of the best defenders in Chelsea history known for his tough tackling earning him the nickname Ron "the chopper" Harris. As a junior for Chelsea FC, Ron Harris helped the team win 1961 FA Youth Cup and would make his debut for Chelsea's first team the following year when he was only 17 years old. He helped Chelsea to promotion into the First Division during the 1962/63 season and he would stay a Chelsea regular for the next 18 years. 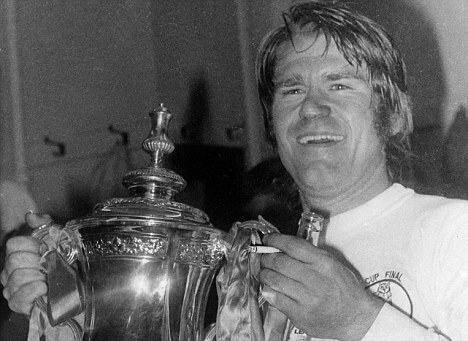 He was the first Chelsea captain to lift both the FA Cup and the Cup Winners Cup in 1971. Ron Harris remained at Chelsea through the tough times in 1970s when all the stars were leaving the club and Chelsea went through two relegation's. He left Chelsea to become player/coach for Brentford in 1980. Jimmy had played for several clubs before and had already earned the reputation of being a very prolific goalscorer. He joined Chelsea in 2000 from Athletico Madrid and went on to do what he does best and that is score goals. 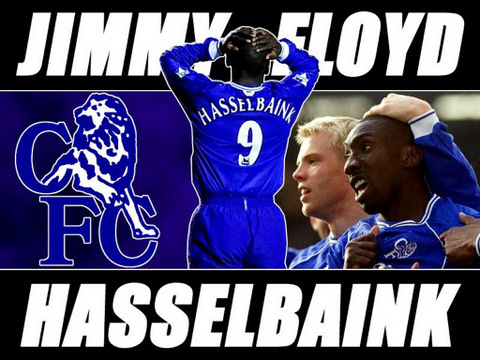 Hasselbaink averaged one goal every two games during the time he spent with Chelsea. He also holds the record for being the only Chelsea player to score 3 goals after coming on as a substitute in 2004 against Wolverhampton Wanderers. New Chelsea management in 2004 had no plans for Jimmy Floyd Hasselbaink on the squad so he left and joined Middlesbrough that same year. He later played for Charlton Athletic and Cardiff City before retiring in 2008. 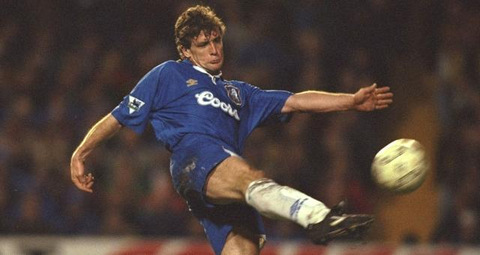 Mark Hughes signed for Chelsea in 1995 from rival Manchester United. He was brought to Chelsea having already won 2 League Titles and 3 FA Cups at Manchester United with the intention of bringing top players with experience of winning. Hughes was not a great goalscorer and his greatest strength was holding the ball and assisting supporting players. The arrival of little Italian magician Gianfranco Zola complemented the style of Mark Hughes and the duo was instrumental in winning the 1997 FA Cup and 1998 UEFA Cup Winners Cup. He left Chelsea in 1998 to join Southampton and later played for Everton and Blackburn Rovers before retiring in 2002. Graeme Le Saux started his career with Chelsea in 1987 but would make his team debut two years later in 1989. He left Chelsea in 1993 to join Blackburn Rovers after being continuously substituted and at one point expressing his disagreement as he took his shirt off, threw it on the floor and stormed past manager Ian Porterfield after being substituted during the match with Southampton in 1993. Le Saux flourished at Blackburn winning the league title and earning the reputation of best defender in the league at the time. In August 1997, Le Saux became the most expensive defender in English soccer as he returned to Chelsea for $9 million. He was an important part of Chelsea squad that won three cup titles from 1998 - 2000 although he had to miss the final in two cups due to injury. 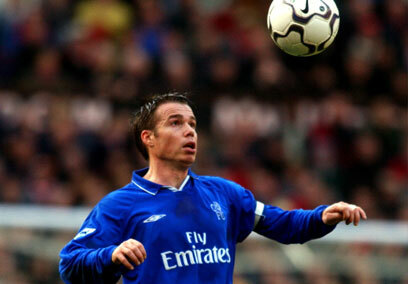 Le Saux left Chelsea FC in 2003 to join Southampton and would retire two years later. Honours with Chelsea: 1997 FA Cup, 1998 League Cup, 1998 UEFA Cup Winners Cup, 1998 UEFA Super Cup, 2000 FA Cup and 2000 FA Community Shield. Frank Leboeuf was one of the first foreigners to light up the Premier League in 1990s. He arrived from Strasbourg in 1996 forming a rock solid partnership in the center of defense with later France teammate Marcel Desailly. He was also a regular goalscorer on penalties and set pieces. Frank helped Chelsea keep the clean sheet for all the Cup game finals. He left Chelsea in 2001 after winning many titles to join French side Marseille where he played for two seasons. He retired in 2005 after spending two years in Qatar. Honours with Chelsea: 2004-05 and 2005-06 English Premier League, 2004-05 and 2006-07 League Cup, 2005 Community Shield and the 2006-07 FA Cup. Claude Makelele was one of the first players signed by Chelsea when Roman Abramovich bought the Club proving to be most influential to the clubs success in the following years. Makelele signed for Chelsea in 2003 from Real Madrid whose president stated "We will not miss him, his technique is average, he lacks speed and skill, his distribution goes backwards or sideways. New players will arrive to make us forget Makelele." 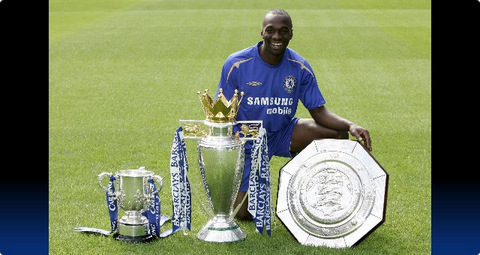 Over the next five years with Chelsea, Makelele won two league titles, an FA Cup and two League Cups while Real Madrid won "NOTHING". Claude's defensive skills allowed players around him to charge forward while he held the middle of the field and helped defenders keep 25 clean sheets playing over 1000 minutes without conceding a goal during the league title win in 2004/05. His presence on the field led Chelsea to the 2008 Champions League Final which was also Claude's last game for Chelsea. In recognition of his service to the club, Makelele was granted a free transfer to join Paris St-Germain where he became captain and eventually retired in 2011. Peter Osgood was one of the most prolific goalscorers that could score goals with both feet, simple tap ins, long range shots and using his head. He joined Chelsea as a junior and went on to play 10 years for the club becoming a regular first choice attacker for Chelsea. Osgood was sold to Southampton in 1974 after the Chelsea club declined but would return back to Stamford Bridge in 1978, however he was only a shadow of a player he once was and decided on retiring in 1979. Peter Osgood died from a heart attack in 2006 at the age of 59. His statue stands outside the West Stand. Dan Petrescu was a key player in Chelsea cup winning team in 1997-98. His playing style complemented the Chelsea tactics and he was a regular in the first team squad until falling out with Chelsea manager Gianluca Vialli in 1999, he never played for Chelsea FC again. Petrescu left Chelsea to join Bratford City in 2000 where he spent a year before moving to Southampton and eventually ending his playing career with National Bucuresti in 2003. Peter Sillett signed with Chelsea in 1953 from Southampton and is the highest scoring defender in Chelsea history until recently being overtaken by John Terry. 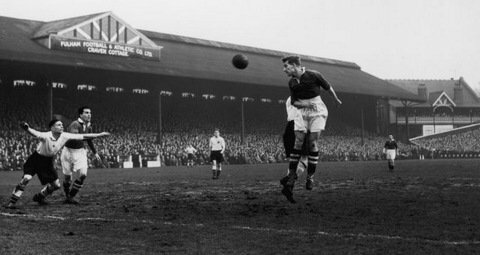 His penalty in the deciding match agains Wolverhampton for the League Champions in 1954-55 will never be forgoten as he calmly shot the ball past the Wolverhampton goalkeeper with only 10 minutes left to play winning the game 1-0 and taking the very first 1954-55 Championship for Chelsea FC. Sillett remained with Chelsea until new manager Tommy Docherty arrived in 1962 with intentions to introduce a younger Chelsea team. He moved to Guildford City in 1962 and from 1965 to 1973 was player-manager at Ashford Town before retiring. In 1998, Peter Sillett died from cancer at 65 years old. 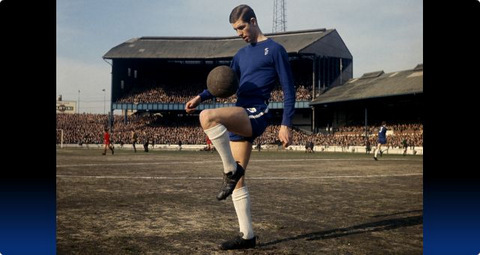 Tambling made his debut for Chelsea as a 17 year old boy in a win over West Ham United in 1959, scoring the winning goal of the match. Departure of striker Jimmy Greaves in 1961 made room for Tambling to move from the winger role to a more attacking Striker role on the team. He was part of the Chelsea team that was relegated in 1961-62 and than year later he became the youngest team captain to lead a team to promotion scoring 37 goals. Towards the end of the 1970s Tembling started to be benched a lot more often having played in just 7 games during the 1969-70 season. He left Chelsea to join Crystal Palace in 1970 and had played for various clubs before retiring in 1979 with Cork Alberts FC. 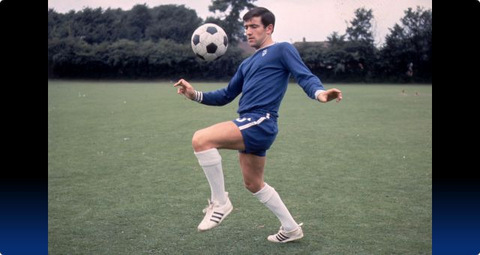 Terry Venables came to Chelsea as a young boy in 1957 and earned his frist team debut in 1960, shortly after his 17th birthday. Venables picked up an injury in 1962 and missed most of the season that saw Chelsea relegated to Second Division. He was the key player in the year later promotion as he dominated the midfield with strong tackles and precision passing. Terry had a falling out with the manager Docherty for breaking curfew in 1965 and would be transfered to Tottenham in 1966. Clive Walker was parhaps the best player on the worst Chelsea team in the history of this great club. He made his debut for the Chelsea side at the end of the 1976-77 promotion season and was a regular first team starter the following year. As Chelsea FC found them selves relegated again in 1981-82 season, Clive Walker scored parhaps the most important goal in clubs history. His goal against Bolton stopped Chelsea from being relegated back down to Third Division. Injury forced him on the bench while the team performed really well in his absence. Failing to regain his place on the team, Walker transfered to Sunderland in 1984. He went on to play 1000 games in all competitions during his long lasting career. He retired at 40 years old in 1999. David Webb arrived to Chelsea from Southampton in 1968 where he stayed for 6 years playing Right Back or Center Back position. He scored the decisive goal in 1970 FA Cup final by heading the ball into the net against Leeds United. Webb left Chelsea in 1974 to join Queens Park Rangers. 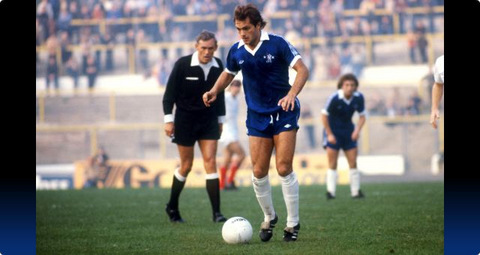 Ray Wilkins came through the youth system of Chelsea FC earning the first team debut in 1973 at only 17 years old. Wilkins was made the youngest ever team captain when he was 18 years old as most of the more experienced players left the club leaving Chelsea doomed for relegation. After being relegated to Second Division in 1974, Wilkins led the young Chelsea team to promotion two years later by being the leader on the field providing precision passes to set up goals as well as scoring 7 goals himself, many of them long range spectacular shots. Ray had already been called up for England national squad even while playing in English Second Division. He was undaubtly the star of that Chelsea team. After suffering the second relegation with the team in 1979, he was immediatelly transferred to Manchester United. Dennis Wise was signed by Chelsea in 1990 from Wimbledon as a wide player but would soon convert to central midfielder. His tough tackling and combatitive spirit made him perfect for the central midfield role. He became the captain in 1993 and would lead his team to 1994 FA Cup final, however they would lose this FA Cup final against Manchester United. 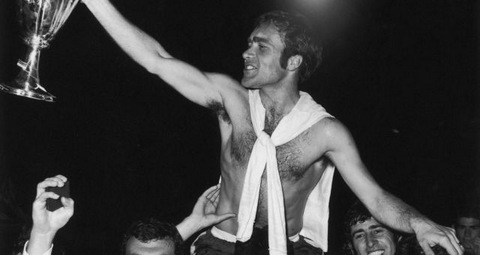 Dennis lifted 6 trophies during his time with the club and was the real leader of Chelsea during his time with the club making sure that there was no divisions within the dressing room. Wise left the club in 2001 as the new manager Claudio Ranieri looked to bring more young players in. The talented little Italian magician Gianfranco Zola captivated Chelsea fans with his skills and was twice named Player of the Year. In 2003, Zola was voted as the clubs greatest player ever, earning 60% of the votes in a poll on Chelsea official website. He helped Chelsea win 6 trophies during his time at the club and scored many spectacular goals for Chelsea. Above everything else, Zola always played soccer with passion and was loved by both the home and opposition fans for his work on the field. Gianfranco Zola left Chelsea after the Russian Billionaire Roman Abramovich bought the club. 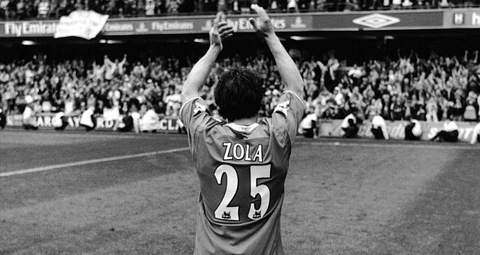 Although he was offered an improved contract, Zola went back to Caglari where he finished his career in 2005.